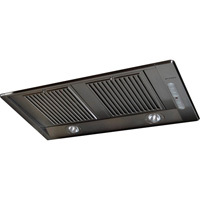 Faber INPR30SSIB Inca Pro 30 Undercabinet Vent Hood is a high-powered insert vent hood that looks as great as it performs. 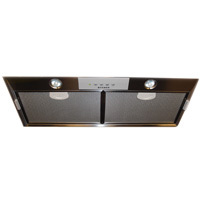 With a stainless steel finish, this built-in hood is designed to fit custom hoods 30 inches or wider. The Inca Pro 30, with its powerful PRO motor and stylish baffle filter system, offers an all-in one- box solution for custom hood applications over professional surfaces.